SigLite Slim 1×5 is Topaz’s slim low-cost electronic signature pad. SigLite SL features all the high-quality biometric and forensic capture techniques of a SigLite tablet but with a thin 0.20″ profile for extreme portability. 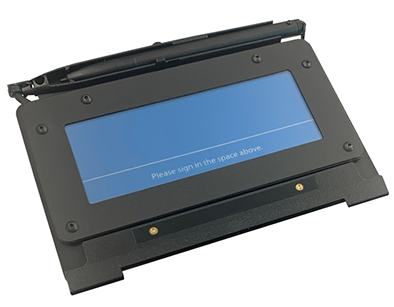 The touchpad sensor is equipped with a protective cover when not in use.All Topaz products come bundled with powerful software tools and support for the capture, encryption, and authentication of electronic signatures.